Match ends, Torino 1, Roma 1. 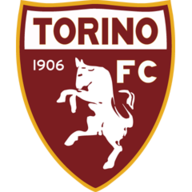 Second Half ends, Torino 1, Roma 1. Attempt missed. Josef Martinez (Torino) right footed shot from outside the box is too high. Goal! Torino 1, Roma 1. Maxi López (Torino) converts the penalty with a right footed shot to the bottom left corner. Penalty conceded by Kostas Manolas (Roma) after a foul in the penalty area. Penalty Torino. Andrea Belotti draws a foul in the penalty area. Attempt saved. Edin Dzeko (Roma) left footed shot from the left side of the box is saved in the centre of the goal. Assisted by Miralem Pjanic. Hand ball by Edin Dzeko (Roma). Attempt saved. Josef Martinez (Torino) right footed shot from the left side of the box is saved in the top centre of the goal. Assisted by Marco Benassi with a cross. Foul by Josef Martinez (Torino). Substitution, Torino. Josef Martinez replaces Cristian Molinaro. Substitution, Roma. Vasilis Torosidis replaces Iago Falque. Goal! Torino 0, Roma 1. Miralem Pjanic (Roma) from a free kick with a right footed shot to the top right corner. Juan Iturbe (Roma) wins a free kick in the attacking half. Foul by Lucas Digne (Roma). Attempt missed. 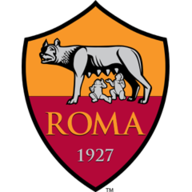 Juan Iturbe (Roma) header from the left side of the six yard box is close, but misses to the left. Assisted by Iago Falque with a cross following a corner. Corner, Roma. Conceded by Maxi López. Kamil Glik (Torino) is shown the yellow card for a bad foul. Corner, Roma. Conceded by Giuseppe Vives. Attempt missed. Edin Dzeko (Roma) header from the centre of the box is close, but misses the top left corner. Assisted by Alessandro Florenzi with a cross following a set piece situation. Substitution, Roma. William Vainqueur replaces Radja Nainggolan. Substitution, Torino. Marco Benassi replaces Daniele Baselli because of an injury. Delay in match Daniele Baselli (Torino) because of an injury. Attempt missed. Afriyie Acquah (Torino) right footed shot from outside the box is high and wide to the right. Assisted by Fabio Quagliarella. Corner, Roma. Conceded by Fabio Quagliarella. Attempt saved. Bruno Peres (Torino) left footed shot from outside the box is saved in the bottom right corner. Corner, Roma. Conceded by Cristian Molinaro. Daniele De Rossi (Roma) wins a free kick on the right wing. Attempt missed. Cristian Molinaro (Torino) right footed shot from outside the box is high and wide to the right. Assisted by Daniele Baselli. Antonio Rüdiger (Roma) wins a free kick in the defensive half. Attempt saved. Radja Nainggolan (Roma) right footed shot from outside the box is saved in the bottom right corner. Foul by Antonio Rüdiger (Roma). Bruno Peres (Torino) wins a free kick in the attacking half. Second Half begins Torino 0, Roma 0. First Half ends, Torino 0, Roma 0. Attempt missed. Andrea Belotti (Torino) right footed shot from outside the box is too high. Assisted by Fabio Quagliarella. Attempt blocked. Fabio Quagliarella (Torino) right footed shot from outside the box is blocked. Assisted by Andrea Belotti. Alessandro Florenzi (Roma) is shown the yellow card. Afriyie Acquah (Torino) is shown the yellow card. Afriyie Acquah (Torino) wins a free kick on the right wing. Foul by Iago Falque (Roma). Bruno Peres (Torino) is shown the yellow card for a bad foul. Lucas Digne (Roma) wins a free kick on the left wing. Foul by Bruno Peres (Torino). Substitution, Roma. Juan Iturbe replaces Gervinho because of an injury. Miralem Pjanic (Roma) is shown the yellow card for a bad foul. Foul by Miralem Pjanic (Roma). Corner, Roma. Conceded by Kamil Glik. Corner, Torino. Conceded by Lucas Digne. Attempt blocked. Bruno Peres (Torino) right footed shot from outside the box is blocked. Corner, Torino. Conceded by Antonio Rüdiger. Attempt saved. Bruno Peres (Torino) left footed shot from outside the box is saved in the centre of the goal. Assisted by Giuseppe Vives. Attempt saved. Andrea Belotti (Torino) right footed shot from very close range is saved in the centre of the goal. Assisted by Daniele Baselli with a cross.